Mariette E. Brennan, JD (Ottawa), LL.M (University of Essex), PhD (Osgoode Hall), is an assistant professor at the Bora Laskin Faculty of Law, Lakehead University. 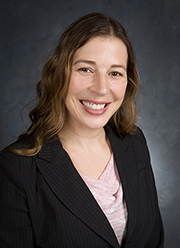 Prior to joining the Bora Laskin Faculty of Law, she was an assistant professor in the Canadian Law Program at Bond University’s Faculty of Law in Australia. Professor Brennan’s teaching and research focus on public health law, international human rights law and constitutional law.